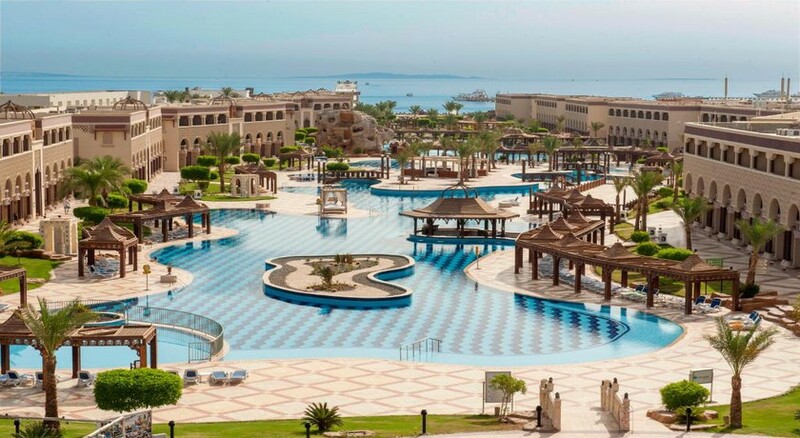 The family-friendly Sentido Mamlouk Palace Resort is a majestic 5-star luxury hotel resort situated in Hurghada that offers full-time relaxation and entertainment for the whole family. It features two outdoor pools surrounded by lush gardens. The beautiful private sandy beach of the Red Sea is 5 minutes from the resort. With its 530 elegantly designed guestrooms and outstanding service, the Sentido Mamlouk Palace Resort is a perfect destination for families to spend their vacation in the most luxurious way. A variety of international and traditional cuisines can be enjoyed at the main buffet restaurant and the 3 a la carte restaurants. Adults have a range of sports facilities to enjoy, such as beach volleyball, horse riding, pool, football, table tennis, tennis and water sports. Kids, on the other hand, can enjoy at the kids' club, playground or children's pool. The lobby features 24-hour reception, an ATM, currency exchange counter and a check-out counter. Wi-Fi is free and is available throughout the resort. The resort is located on Safaga road, close to Hurghada Resort which is the largest Egyptian tourist resort in Hurghada, Egypt. The nearest beach is 50 metres away. 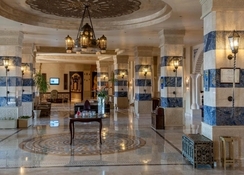 The Hurghada Airport is at 13 km from the resort. The centre of Hurghada is about 20 km away. The resort offers free on-site private parking facility. All 530 guestrooms of the hotel are air-conditioned, with a balcony or a terrace offering views of the sea, pool, or garden depending on the room’s location and type. All rooms are well-furnished with satellite TV, Wi-Fi, telephone, room safe, bathroom with shower, WC, hairdryer, bathrobe & slippers, mini bar and tea/coffee amenities. Room service is provided with charge. Rooms are categorised as Standard Room, Double Rooms with Garden or Pool View, Family Room with Garden or Pool View, Master Suite and Junior Suite. 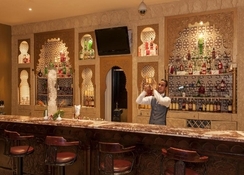 Sentido Mamlouk Palace Resort has a main buffet restaurant which serves breakfast, lunch, dinner, and late dinner. 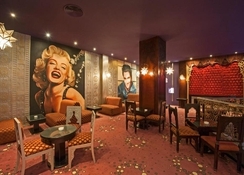 The hotel also has many a la carte restaurants viz. the El Paso (Mexican) Restaurant, The Grill House, The Asia Restaurant (Asian), The Gamila Restaurant (Arabian), The Basilico Restaurant (Italian), and the Felucca Restaurant (Seafood). The all-inclusive guests are offered one dinner at the El Paso Mexican Restaurant during their stay (early booking necessary). Guests can also request special menus such as vegetarian, gluten free, lactose free, and low fat dishes. Five different bars are situated throughout the resort, serving locally produced alcoholic and non-alcoholic drinks, juices, soft drinks along with snacks. The resort has 2 large outdoor pools (heated in winter) with a children’s pool attached. Sun beds, loungers, and parasols near the pools provide the perfect spot for relaxation. The resort also has its own sandy private beach just 50 metres away. Sports and leisure activities include archery, horse riding, water sports, beach volleyball, snooker, soccer, table tennis, tennis courts and evening entertainment. 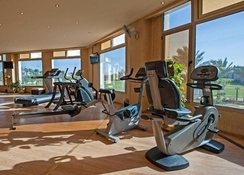 The resort also offers some holiday plus activities such as SENTIDO daybreak, aqua fit, six-pack, discovery walk, cooking session, local wine tasting, treasure hunt, creative, and mini disco.